Each year, a new batch of high school graduates pack-up your extra-long twin bedding, grab your mini refrigerator and microwave, and bid adieu to your family and friends as you venture into your impending freshman year of college. Tearful parents make sure to prepare their soon-to-be college students with advice on staying safe while you enter the real-world. The importance of the buddy-system, eating some vegetables with your ramen noodles and dining hall cuisine, and sometimes some more uncomfortable topic, are usually discussed before the final send-off; however, many parents forget about emphasizing the subject of car care. Whether you drive a brand new car, or your parking pass will be dangling from the mirror of your 90-something hoopty maintenance is vital to the life of your vehicle. Quirk Pre-Owned, one of the leading used car dealers in Massachusetts, has some easy tips to keeping your car healthy while youre away at college. Taking care of your car is, actually, very easy. Simply checking certain areas and pieces of equipment is sufficient between periodic service appointments. The tires of your vehicle are its foundation. If something goes awry with the tires, chances are the outcome wont be pretty. Understand how to use a pressure gauge to check the pressure in your tires every month or so. The tire pressure should match the manufacturers recommended number listed on the drivers side door jamb. Follow these easy tips from one of your favorite used car dealers in Massachusetts, and caring for your car on campus will be a breeze. Paying for your car to be serviced every couple of months is well worth the cost, which is a fraction of the amount if you were to fail at a DIY. Following your cars maintenance schedule will keep your vehicle expenses below what you pay per month at the late-night diner. Simple tasks, like an oil change or tune-up, should cost less than $50 and typically only need to be performed once every few months. So, unless youre an expert in auto car, or know somebody who is, leave the online videos for homework distractions and take your vehicle to a trained-technician. Youre paying a lot of money for your education, so, save your wallet from emptying into your car and follow a basic care plan. Regular checks and maintenance will keep your car on the road longer, and your money in your meal-plan. 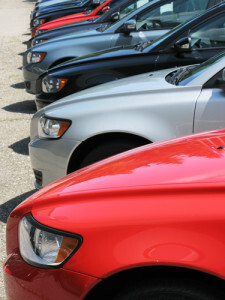 Check Quirk Pre-Owned for more car care tips or to test-drive a college-ready used car today! For more information about one of the leading Massachusetts used car dealers.